Hey everyone! I hope everyone has been doing well? As I said a few posts ago, I just started a new school year so I have been super occupied with a lot of things, including organizing a beauty class alongside other major beauty influencers on my campus (yaay! Check out my instagram for more info on that). That’s why my blogging has been epileptic, I apologise! I will start bulk writing and scheduling posts to auto-upload so things can be more consistent on here. Now, on to the matter at hand, I will be reviewing the amazing new Nigerian brand that broke the gram some weeks ago. During summer, a fellow makeup lover, Maria, told me that her aunt was planning on launching a brand soon and she wanted to send me some items to review. Of course I said yes, I am always down for free makeup lol. Fast forward to early October when I was looking for sponsors for my beauty class, I sent a mail to @Duniquebeauty on instagram. They promptly responded positively and informed me that they will be launching a sister brand soon and they will be interested in sponsoring the class. Needless to say, the brand was named HushBeautyNg and I got some of their products for review. The term ‘hush’ has nothing to do with these amazingly ‘loud’ and pigmented shadows! Like oh my gosh! 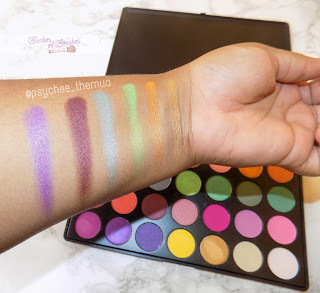 I could not even believe that this was a Nigerian brand when I first swatched these shadows. Packaging: the palette comes in a study matte black case very similar to the Morphe palettes. 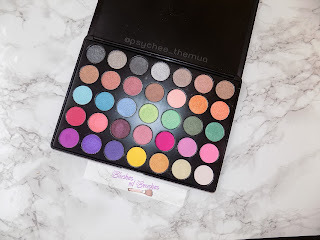 The 35A palette I have has 35 shadows that are mostly shimmery, I believe there are only about 5-6 matte/satin shades. Pigmentation: as earlier stated, the pigmentation of these shadows are bomb and the shimmery shades have a gorgeous sheen to them. Although the matte shades are not very pigmented compared to the shimmers, they are not bad at all. I have used the palette on several clients with various skintones and the colours show up stunning each time. 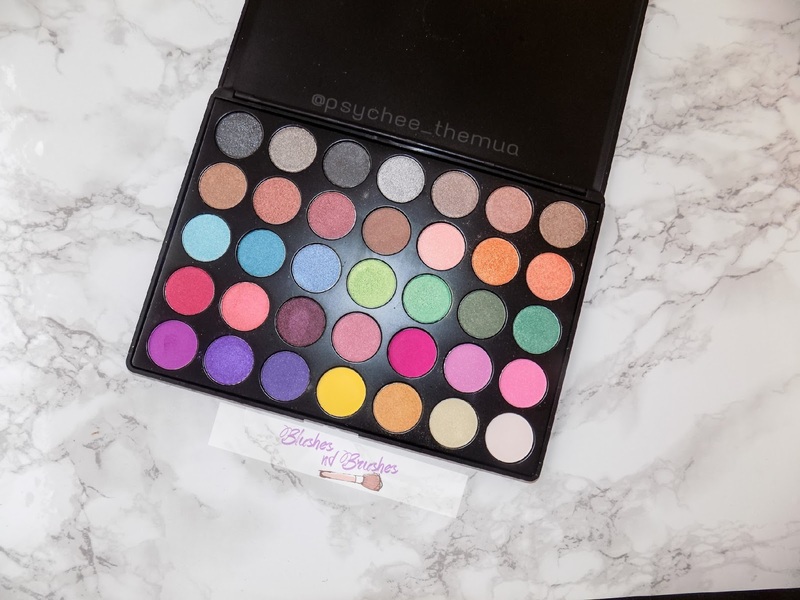 Price: the 35 colour palettes are about 7,000 naira and that is such an amazing price for the quality of products gotten. The Morphe palettes go for about 13,000-15,000 naira right now so the HushBeautyNg palettes are basically a steal in this recession. My final verdict: this palette is just great! I love that you have a wide range of beautiful shimmers to mix and match. I also used one of the shadows as a subtle face highlight some days back and it lasted throughout the day on the high points of my face. However, I wish there were a few matte brown or skintone shades for blending and transition so a beginner or amateur will only have to use one palette. However, I personally don’t mind much because I have a good amount of transition colours in other palettes. 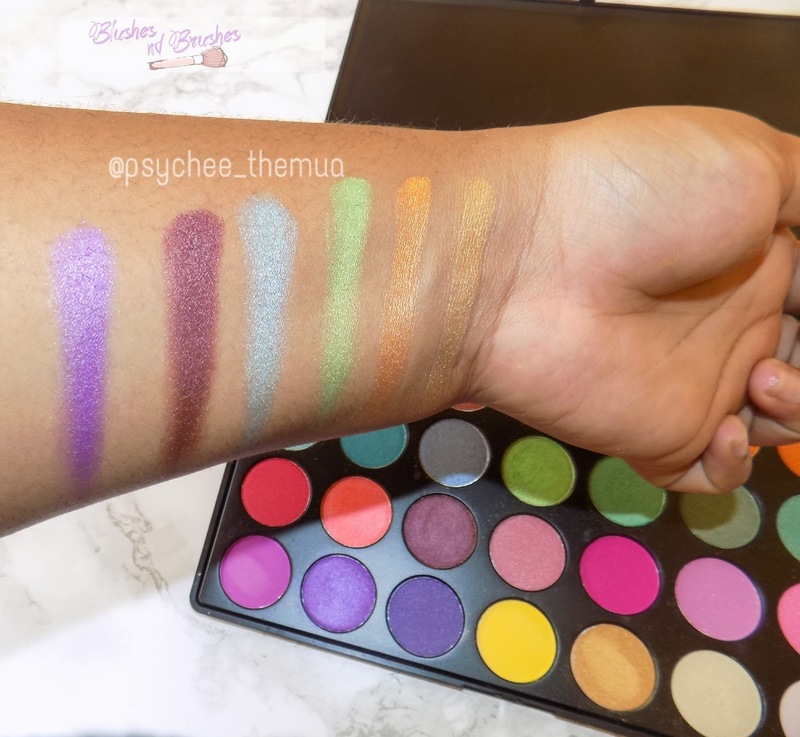 You can check my instagram for the looks I have created with this awesome palette. I hope you enjoyed my post! Do you know any other awesome Nigerian brands, let me know in the comment section below. Watch out for my next post on the HushBeauty Matte lippie. Lying lips are an abomination unto the Lord, but they that deal truly are his delight.